When many matchmaking sites appear on the dating scene, they make quite an impression only to disappear completely after a couple of years. In contrast, Plenty of Fish has been around since 2003 and still has dozens of millions of users worldwide. The service prides itself with an excellent track record of being responsible for more than a million new relationships annually. As POF has been in business for a long time, it has grown and developed to include more and more options requested by their users. Eventually, it’s become a dynamic service with members who are highly active and in search for anything from a single date to a long-term relationship with a perfectly compatible partner. In 2016, the site was ranked fourth in customer satisfaction based on an online dating survey. With a huge number of similar sites on the market, being placed fourth after Tinder, OkCupid, and Grindr is quite an accomplishment. In short, along with providing free browsing of their vast database of profiles, the site offers to match you with users who are the most compatible with you. Being straightforward about your preferences and ambitions facilitates the process, as it only shows you profiles of people who want the same thing as you. It’s possible to specify a location and search for suitable people within a designated area. Or you can just look through a catalog of photos and choose the persons you’d like to get in contact with. Ultra Match is POF’s matchmaking tool which takes into account your own matching criteria and finds 50 people the most suited to you. An additional tool, Top prospects list, allows you to see which of the people you have dated online would be your best match. You need to enter your search criteria only once after that updates are sent to you on a daily basis with new people matching your preferences. The site offers matchmaking services for men and women of all age groups, over the age of 18. Female and male members are approximately equally represented in the site database. There is a limitation imposed by the site when age is concerned, though: you can only date people not more than 14 years older or younger than yourself. The restriction is probably put in place to avoid being an intermediary in relationships based on suspicious motives. The age range you can choose from remains substantial, but if you have a preference for partners much older or much younger than yourself, you should look elsewhere. What are the costs of using this service? Becoming a registered member is absolutely free of charge. However, if you opt for the premium service, you will be asked to pay a fee in exchange for additional services that are not available for non-paying members. Anonymity is guaranteed, and no link to accounts on other social media is created. You can, if you wish, upload photos from Facebook or Instagram or use pictures stored in your phone or computer memory. As a free member, you can upload eight photos, while premium members can upload eight more. However, the information featured on your social media pages is safe and will not be used on this platform unless you choose so. Before you become a member, the site asks you to fill in a rather lengthy registration questionnaire including questions on lifestyle preferences, eating habits, educational background, etc. It is done for the sole purpose of getting a clear picture of you as a person and what your life ambitions and strivings are. This kind of information proves to be crucial when it comes to finding a soul mate. Like many other sites and mobile apps, POF relies heavily on advertisements for financing. This makes it widely accessible and allows free members to have a great experience using most perks this site has to offer. However, photo messaging only becomes available in case you decide to become a premium member. The detailed profile information of users you might want to communicate with is visible to paying members only, along with the information whether the person you texted has read your message. These features can come in handy but are by no means crucial for using this site. Another premium feature is having a golden star next to your name and profile picture. It is kind of cool and, according to experts, makes your profile stand out. Whether it is really worth investing money into is up to you to decide. It’s important to note that POF has a great quality/price ratio, much better compared to similar services. There are several options of payment to choose from, including credit card, Pay Pal and paying via mobile phone. Depending on the period you select for being a premium member, fees are charged for 3/6/12 months in advance. When your membership expires, it will be automatically renewed unless you indicate otherwise. The site gives you two weeks notice before your subscription is automatically renewed which gives you enough time to manage your membership options and/or stop being a paying member. The details concerning the cancellation of automatic membership renewal purchased through Pay Pal are provided in the corresponding section of both site desktop and mobile versions. Plenty of Fish uses the detailed information gathered during the registration phase to create comprehensive profiles containing all important facts on the prospective user. Of course, you can alter some information later if you think that the original profile no longer represents your personality or preferences accurately. 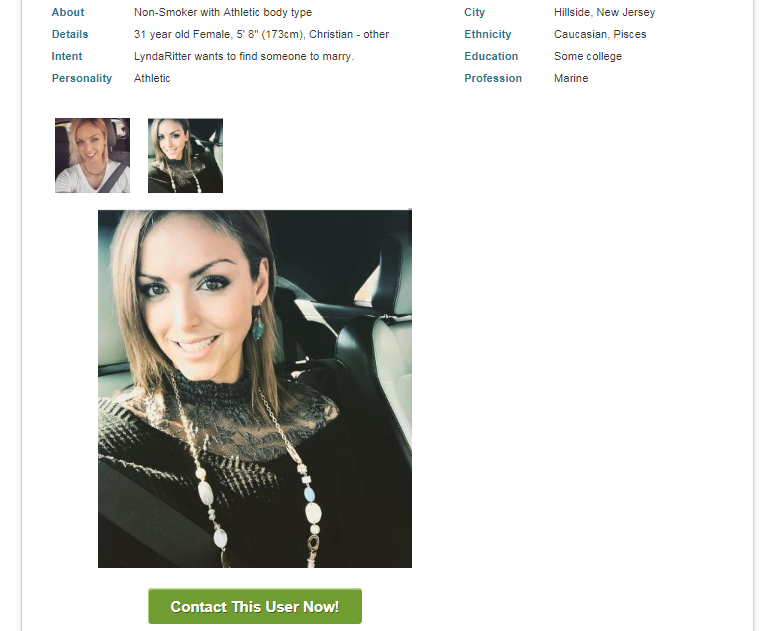 You can add new information or alter the ‘Looking for a casual relationship’ option into a more serious ‘In search of a committed relationship, possibly marriage.’ POF is not just about attracting as many people as possible to their service, but primarily about offering their users a unique experience of high-quality matchmaking. You may think that questions about your dating history or the type of family you grew up in are overly private and if so you can just skip them. Filling in all the fields is not mandatory, and you can decide on how much personal information you’d like to disclose. Bear in mind, though, that the more you tell the dating service about yourself, the better match it will select for you. The personality assessment of all registering users is done by means of questionnaires among which only the Chemistry assessment is obligatory. This is a 70+ questions survey that covers most areas of your personal life and takes up to 20 minutes to complete. The answers are given on a scale rather than just ticking Yes or No since most things in life can hardly be classified as simply existent or non-existent. There’s always a middle ground, and you can indicate the extent to which something is important to you or how much you like it. Filling in additional questionnaires is optional, but if you find time to complete them, it will give the site more information on various aspects of your life. It makes it possible to get even better quality matches. In line with the users’ desire to access the dating site wherever they are and whenever there is a spare moment, POF has created Android and iOS versions of the site. The mobile apps are quite easy to use and have all the functions featured on the site. The only thing you would need your computer for is to delete your account if you no longer wish to use it. This is not possible via the mobile app. Ultra Match: based on the extensive personality questionnaire you filled in during the registration phase, the site’s sophisticated software generates a list of 50 people most compatible with you. The list could be much shorter, as it is possible to predict the top 5 picks. But psychologically, a user would rather have more options to choose from. Therefore, the list is extended to include up to 50 people who match your criteria. This leaves you the final decision making which is right since human psychology is rarely as simple as a computer program considers it to be. You never know what will influence your final choice of a dating partner, so it’s best to have more options and let your instincts guide you. Top Prospects: this is a ranking tool that makes a list of most compatible persons among those you contacted with during the last month. So you choose who you’d like to communicate with, and the site rates your mutual compatibility and generates a list of those who are best suited for you. The tool has proven to be very efficient in the past since statistically, 50% of people leave the site in a relationship with someone featuring in the top 10 list. Nearby: if the location option on your mobile phone is enabled, and you allow the site to access it, it will be able to find users matching your requirements locally. You’ll receive an indication on how far each prospective match is from your location which is quite convenient for future real-life dating. Meet Me: you might already be familiar with this option if you have ever used Tinder. When the site shows you someone’s picture and basic info, they ask you to indicate Yes (if you’d like to meet this person) or No (if they do not appeal to you.) Simultaneously, your picture is shown to the users whose pics you’re viewing and in case you both tick Yes the site brings you in contact so you can start communicating. Do I need to register just to browse through user profiles? No. It’s possible to look around as a guest to the site, but if you wish to contact anyone, you will be asked to register. This is a security feature meant to cut down on spam and weed out jokers and pranksters. Does POF post to Facebook or Instagram without my permission? No. It actually has no interaction with social media aside from allowing you to use some of your Facebook or Instagram photos and upload them to your POF profile. How safe is it to use Plenty of Fish? Quite safe. If you find messages another user sent you offensive or wish to have no further contact with that person, you can simply block them. This will make your profile no longer visible to them, and they won’t be able to communicate with you anymore. Additionally, if you think a user represents a danger to the community, you can report them. This will lead the site to take necessary action against that person. Can I take a break from using Plenty of Fish and come back later? Yes. To make your profile temporarily invisible to other users, go to the ‘Edit profile’ section and tick this option. You can reverse this at any time and become an active member again. What if I want to remove my profile from the service altogether? You can do that as well. If you’re sure, you’ll never want to use the site again go to the ‘Help’ section and click Remove profile. Following the instructions provided, you can delete your profile permanently.